Hi lovelies! I'm back with another 26 Great Nail Art Ideas mani. This time the theme is 'Pastel Christmas', which I think is a great idea! I always have so much fun doing non-traditional seasonal themes. I hadn't yet done a snowman mani this year, so pulled out my Uberchic Beauty Christmas plates and came up with this. Read on to find out more! I started off with a gradient of Pretty Serious Cosmetics 'Can't Take The Sky' (swatched here) and 'Doodle Bug'. My initial idea was to use the Pretty Serious pastel pet names collection, but I couldn't resist pairing these two together. I love how this turned out. I then added a coat of China Glaze 'Fairy Dust' for a bit of sparkle. I really don't use this enough, but for some reason I always like it over gradients. For my snowmen, I made reverse decals. I stamped the snowman from Uberchic plate Christmas-01 onto my mini uber mat using Hit The Bottle 'As Black As Night'. I coloured them in using Pretty Serious 'Presence' with a small dotting tool, before topcoating and letting them dry. 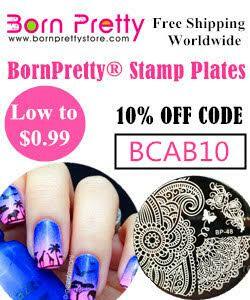 I placed them onto my middle and ring finger nails before topcoating. I then stamped the falling snow from Uberchic Christmas-02 onto my pointer and pinky nails. What do you think? It's not over the top pastel, but it counts! I think this is my favourite Christmas mani this year! I only finished them this afternoon (after admiring the gradient on it's own for a few days), and I'm going to keep them on for Christmas Day. This is also my last post before Sunday, so Merry Christmas everyone! I hope you all have an amazing day! So cute! I love the subtle gradient, and how the falling snow looks over it! This is so playful and perfect for the season. I love that subtle gradient! Beautiful! Your gradient is so perfect too! These are so cute! I love the snowmen! They look so fun! Love that gradient! The snowmen are cute too! I wish I could do a gradient, yours looks so perfect. The snowmen are too cute. I love the idea of pastels in Winter - IMO pastel blues suit Winter more than vampy shades. Love the snowmen too! This is such a flawless gradient - it looks so smooth and seamless! I love the look! This is super cute and I love it! The gradient is beautiful, too. Holy cow, your gradient is seamless. It's so perfect! I love the colors together too! 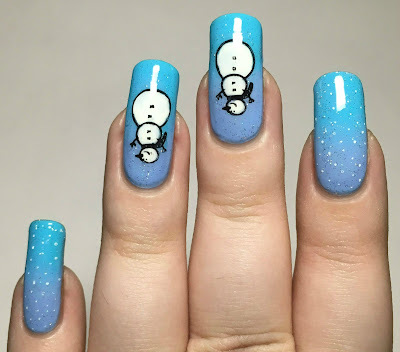 Beautiful pastel nails for Winters <3 & those Snowman are adorable!! I really LOVE this light blue shade of polish and the snowman just looks so adorable! China Glaze Fairy Dust is so pretty -- subtle, yet gives the manicure that added pop. 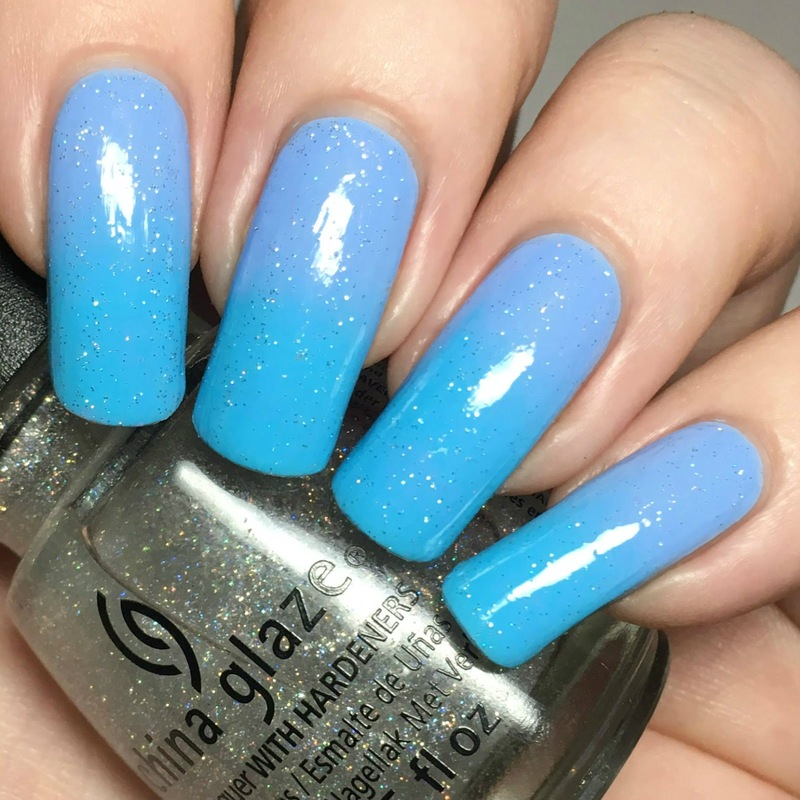 I'll have to look for this the next time I see China Glaze! 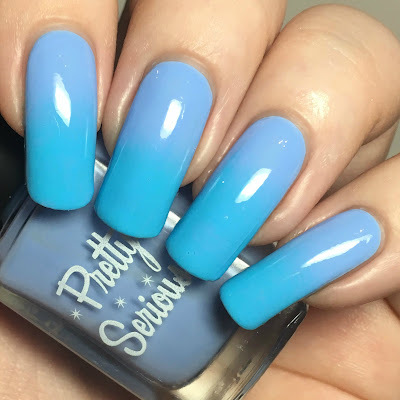 I love how adorable this mani is! I am pretty sure this is the best gradient ever!!! I need both of these shades just so I can recreate!!! 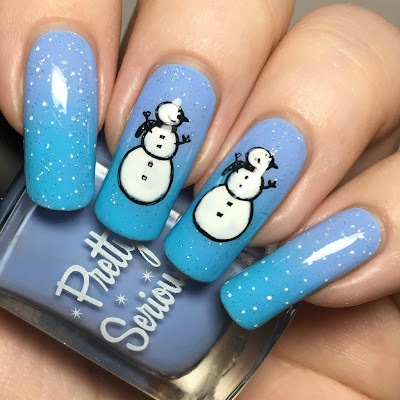 I love this blue gradient and the snowmen are just perfect! These are so adorable - the fairy dust just adds that extra touch!